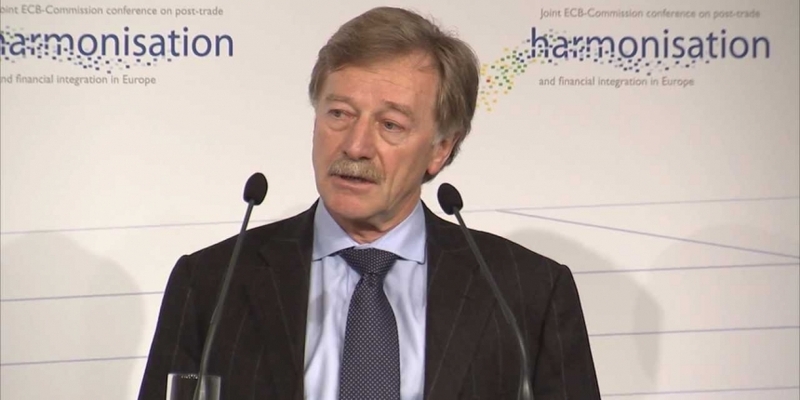 European Central Bank (ECB) executive board member Yves Mersch is coming out in support of recent comments by Agustin Carstens, general manager of the Bank for International Settlements (BIS), in which he laid into bitcoin as a bubble, a Ponzi scheme and a threat to central banks. But, he added that, although the ECB shares Carstens’ concerns over the issue of crypto assets, he doesn’t believe the market is big enough to affect the wider economy. Instead, the central bank is “more concerned about the social and psychological effect” of the hype in the market. In his Feb. 6 comments, Carstens argued that cryptocurrencies could become “parasites” on the financial system, saying they must be held to the same standards as banking and payment services. He further stated that cryptocurrencies should not be allowed to undermine trust in central banks. “The tried, trusted and resilient modern way to provide confidence in public money is the independent central bank,” Carstens said at the time. Mersch’s comments come a day after the European Union’s top securities watchdog – the European Securities and Markets Authority (ESMA) – released a report indicating that cryptocurrencies will be one of its top priorities for 2018. In its supervisory work agenda for 2018, it revealed that one of its five primary tasks for the year will be monitoring the development of financial innovation, including cryptocurrency and blockchain technology.